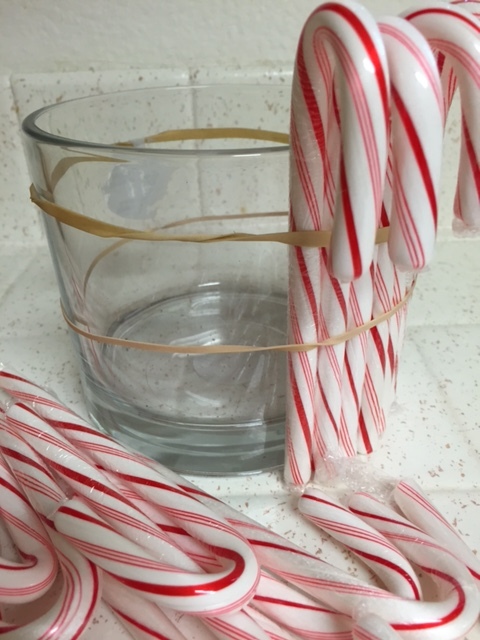 Put 2 rubberbands around your vase, and start putting your candy canes under the rubberbands, against the vase. 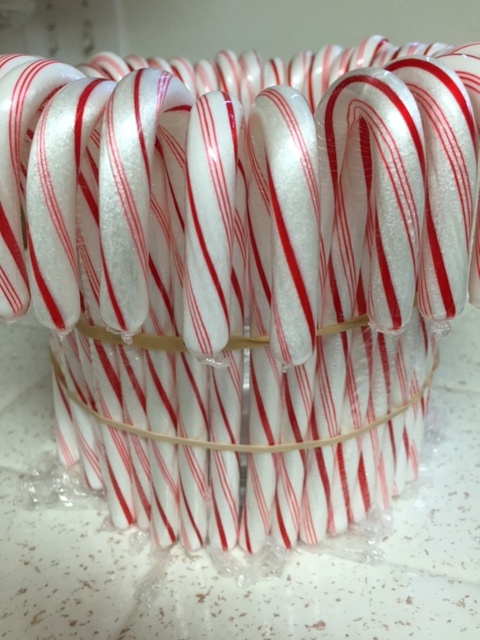 Continue with the candy canes, all the way around, butting the candy canes close together. 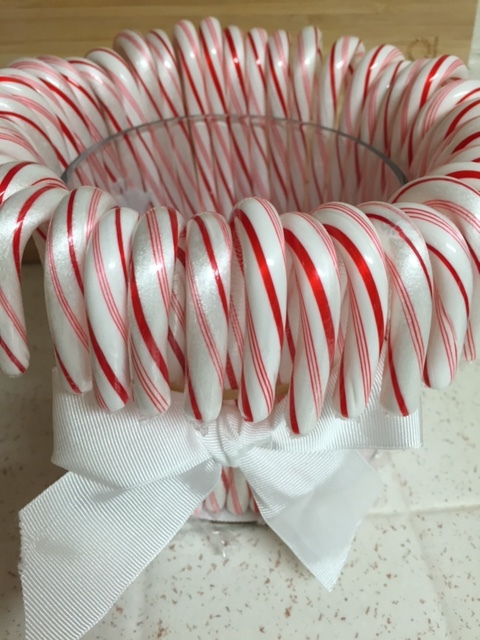 Tie a wide ribbon (covering the rubberbands) around the vase. That’s it!! 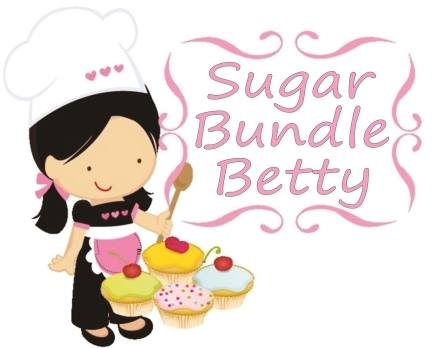 I need to change the bow to a red bow. Not liking the white. 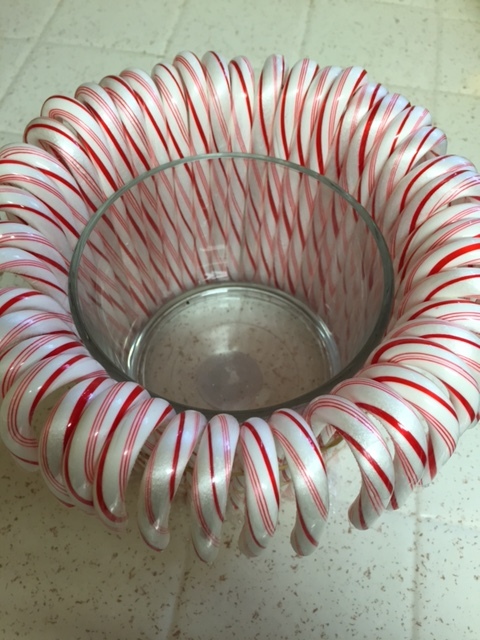 You can do a search for candy cane vases, on line to get some ideas on different uses for the vase. Have fun!